Again a discovery by Fred Fischer (USA). 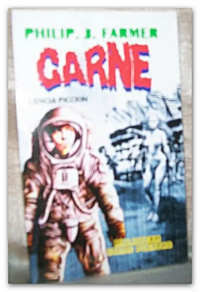 He saw it online, with the South American site Mercado Libre (something like eBay), the Argentian publication of Carne (Flesh). The book is for sale for $80 (Argentinian peso). That is less than US$5. There is not much of information with the book. I have no idea when it was published. Mercado Libre only gives the format and the page count. I haven't been able to find more information online of this publication. My guess is that it is a copy of the Spanish edition with a new cover, something that happened in more cases with the Argentinian editions. In that case it will have been published in 1975 or later. 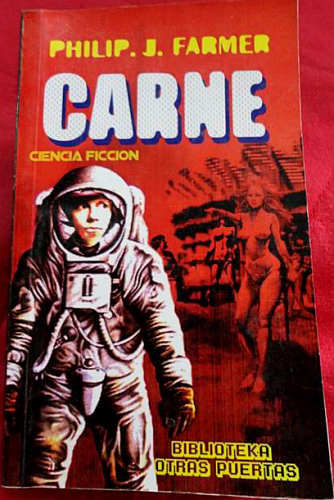 I also found a bad picture of another edition of the same novel on Mercado Libre. But no information whatsoever. So I have no idea if this is the first or second edition, or even if it really exists. There is no information to be found online on any of these two books. They are not included in the Spanish Bibliography, Tercera Fundación. If anyone knows more about these two, please let me know. Thanks again Fred for the discovery!